Female customers who shopped at a Sears store in North Hollywood, Calif., over the past three years may have been videotaped in the dressing rooms and restrooms, according to an attorney representing 25 women suing the retail chain. The group is suing Sears and a former maintenance worker who allegedly videotaped them from 2009 to April 2012. Michael Alder, the attorney for the plaintiffs, said an unknown number of female customers were also likely videotaped in the store during that period. "There's a lot of people who were patrons and don't have any idea that they've been videotaped," Alder said. Alejandro Gamiz, 27, a maintenance worker who worked at Sears for seven years, who is accused of placing hidden cameras behind the walls of the store. He was arrested on April 12 for burglary and surreptitious filming of unsuspecting women by North Hollywood Area Sexual Assault detectives. Gamiz posted $20,000 bail and was released from custody. The Los Angeles District Attorney's office is still reviewing the case and has not yet filed charges against Gamiz. Gamiz did not return a request for comment. Krystel Dean, an employee and one of the plaintiffs, said she was "shocked" when she learned of the secret videotaping. "My heart immediately sank," she said. "Not only have I used the restroom and dressing rooms, but my small children have used them as well. I feel like our privacy has been invaded." Dean is also suing Sears in the same suit for retaliation, saying her employer cut her work hours after she was the first to hire an attorney and speak to the media about the the alleged taping. Of the women filing the lawsuit against Sears, 16 are employees while the other nine are store customers who believe they may have been taped, including four children. The plaintiffs' last names, including Dean's, were not included in the lawsuit. The group filed a lawsuit against Sears on June 11 in the Los Angeles Superior Court, asking for unspecified compensatory and punitive damages for unpaid wages, mental and emotional distress, and attorney fees and costs, among other damages. The plaintiffs said Sears knew or should have known that Gamiz had installed video equipment and created peep holes within the three years he had set up the equipment. They are suing Sears for invasion of privacy, intentional infliction of emotional distress, hostile work environment harassment, and negligent hiring, supervision, retention, among other charges. Alder has invited other female patrons or employees who were in the dressing rooms or bathroom of the North Hollywood store in the three years before Gamiz was arrested to contact his law firm and visit the special website his law firm has established, SearsPeepingTom.com. 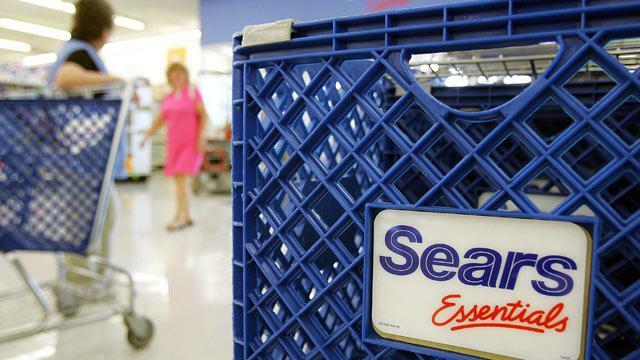 "As information gets out, they will realize they frequented that Sears for the last three years and undressed," he said. Kimberly Freely, spokeswoman for Sears Holding Corp., said the company could not comment because the litigation is pending. "But as we said previously, and with all due respect to the associates who may have been impacted by this incident, no member of management or leadership in the company had any prior knowledge of the accused's alleged conduct until it was discovered in our store," she said. "At that point, we immediately launched an investigation and turned the matter over to the police." The lawsuit states that Gamiz created "peep holes" in women's restrooms and dressing rooms, and children's dressing rooms too. He then installed video equipment to record the women and children. He uploaded some of the videos to the Internet, according to the lawsuit, on a site that police have since been taken down. The plaintiffs accuse Sears of turning a "blind eye" to Gamiz's "suspicious behavior" during the course of his employment. The suit states that he "regularly and frequently purported to be performing maintenance" in the restrooms and dressing rooms, air ducts and crawl spaces, and "close off access to these areas" when "no maintenance was required, requested or necessary." Alder said Sears informed employees that video on Gamiz's hard drive had been reviewed, and that the women were in some of the recordings. Alder is seeking access to the videotapes and hard drive that were confiscated by the police.